Dozens of celebrities and athletes are going to be hitting the gaming tables to raise public awareness and funds to support Every Kid Counts. The charity poker tournament and casino event kicks off at noon, Saturday, January 31st at a private residence in Scottsdale, AZ. This exclusive event leading up to the big game is produced by Dream Dealers and Pro Player Insiders. 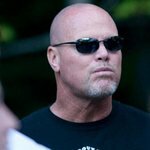 NFL Icon Jim McMahon and 2003 World Series of Poker Champion (WSOP) Chris Moneymaker are hosting the celebrity filled Hearts and Helmets Charity Poker Tournament. Three time Super Bowl champion former Oakland/LA Raider, Henry Lawrence will perform during the VIP reception. This fun-filled, interactive fundraiser will also provide an unforgettable evening of charitable casino gaming, silent and live auctions, raffles, premium cocktails, and delicious cuisine. Prizes include tickets to the Big Game at the University of Phoenix Stadium, WSOP entries, cruise vacations, dinners with celebrities, autographed memorabilia, plasma TV’s and invitations to exclusive events. The real winners of the night will be the designated charities and causes. Among those confirmed to participate, subject to availability, are Warren Sapp (former NFL), Darnell Dockett (Cardinals), Jay Novacek (former NFL), Andre Reed (NFL Hall of Famer), CeCe Peniston (award winning singer), Tim Brown (former NFL), Marcellus Wiley (NFL/ESPN), Calais Campbell (Cardinals), Shelly Duncan (MLB), Chris Duncan (MLB), Jeni Summers (model), Miss Black USA Arizona (2015), Marvin “Young MC” Young (Grammy Winner), Will Lowery (Golf Channel), Steve Weatherford (Giants), Demetrius McCray (Jaguars), Kenny Stills (Saints), Tony Jefferson (Cardinals), Major Wright (Buccaneers), Sean Baker (Falcons), Kevin “Special K” Daley (Harlem Globetrotters), and more. Every poker table will feature a celebrity and/or athlete. Poker players begin with $10,000 in chips and the Texas Hold’em tournament is structured with gradual 25 minute blind increases which should appease all poker fans. Seating for the poker tournament is limited and those who want to participate should pre-register here. 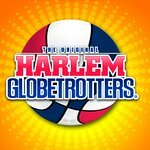 VIP admission tickets are $250 and include access to the 12 p.m. celebrity reception, a seat in the tournament with $10,000 in poker chips, and a $500 voucher to play the casino games. General admission is $120 and opens at 6 p.m. General admission includes a $500 voucher to play blackjack, craps, and roulette from 7 p.m. – 10 p.m. All tickets include catered meals and a hosted bar. Chris Moneymaker revolutionized poker by being the first amateur to win the WSOP Main Event. Chris Moneymaker is considered the figurehead for kickstarting poker’s popularity into mainstream life as we know it today. Henry Lawrence is a versatile performer of stage and screen who has appeared across the U.S., Asia, and Europe. He has been a featured singer at major athletic events such as Super Bowl parties and John Madden’s NFL Hall of Fame Induction. Henry was an All-Pro offensive tackle for the Oakland/LA Raiders with two Super Bowl victories in his 13-year career. Event sponsors include FelCor Lodging Trust, National Football Players Women Association, and Financial Literary Project.